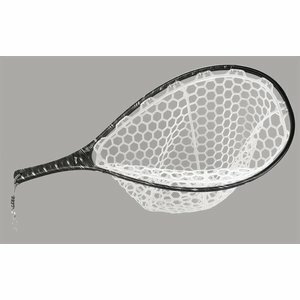 Brodin Cutthroat Carbon Fiber El Zorro Net, Super durable and lightweight 100 % carbon fiber with a black texture. 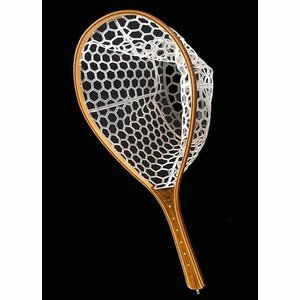 These Spectacular Brodin nets feature a mother of pearl measure marks spaced every inch beginning at 15". Place the trout's tail at the top of the hoop. 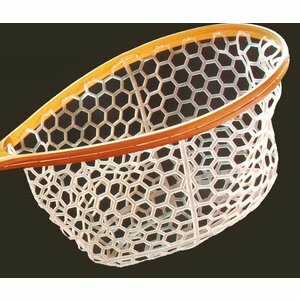 An exciting economical version of Brodin’s famous Ghost nets! 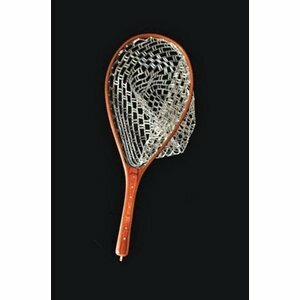 A genuine Brodin net for not much money! Beautiful teakwood handle with two ply ash bow. Finished with industrial grade polyurethane finish and complete with fine mesh soft nylon bag and clip. Great Nets. 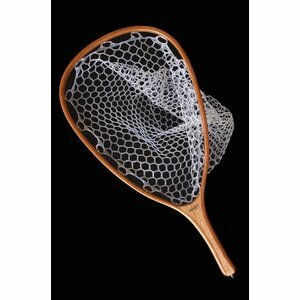 Brodin's beautiful river & boat nets feature light-weight, Eco-Clear Ghost bags which disappear in water making landing fish easier on both you and the fish! 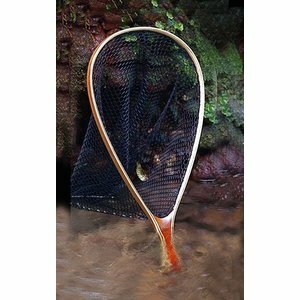 Classic wooden fly fishing nets with nylon bags available in many different shapes and sizes for various species.